Damian Lillard a soon To be a Northwest legend, if he already isn’t after that buzzer beater with 0.9 left on the clock against the Houston Rockets moving the blazers in to the second round of the playoffs for the first time in 14 years. Has released his first ever signature shoe alongside Adidas brand. This is great for the city of Portland and for Damian Lillard especially after he got snubbed for the All-Star’s this year. 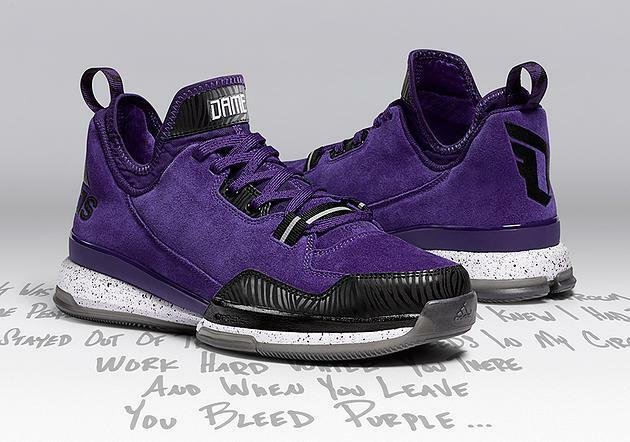 About the shoe Damien has said that he wanted to make a versitile shoe that looked good on the feet but still had everything needed to make the shoe work for his explosive style of playing on the court and he did a pretty good job with the D Lillard 1. A shoe that’s Built for Lillard’s speed and agility on the court, they feature SPRINTFRAME support for quick cuts, ADIPRENE®+ cushioning and an inner techfit™ bootee for a comfortable fit. 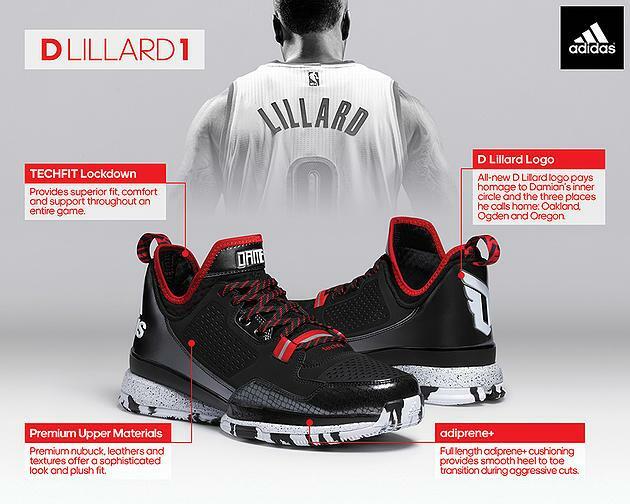 With signature Damian Lillard details. Take a close look below and if you think that you would like to grab a pair for you or someone that you know you can go to Adidas.com or your nearest shoe retailer to grab a pair. Be quick though because they are moving quickly. This just in Blake Griffin of the LA Clippers is injured with Staff infection in his elbow and will no longer be playing in the NBA All-Star Game. This means that Damian Lillard will be taking his place. Unfortunately he will not be filling a starting position however we will get to see him get some good time off the bench, most likely when fellow team mate Lamarcus Aldridge is also on the court. TECHFIT Lockdown: Provides superior fit, comfort throughout an entire game. adiprene+: Full length adiprene+ cushioning provides smooth heel to toe transition during aggressive cuts. Premium Upper Materials: Premium nubuck, leathers and textures offer a sophisticated look and plush feel. D Lillard Logo: All-new D Lillard logo pays homage to Damian’s inner circle and the three places he calls home: Oakland, Ogden and Oregon.